A classic Doctor Who story is coming to the big screen, and boy is it a special one. Shada is unlike any other Doctor Who story ever made, because they never properly finished making it. Originally slated as the final story of Season 17 and scripted by the soon-to-be-famous Douglas Adams, the production was ultimately abandoned due to industrial action. Fans first caught a glimpse of Shada during the 20th anniversary special, The Five Doctors. Originally scripted to include all five incarnations of the Doctor (including a recast First Doctor with the permission of William Hartnell’s widow), plans changed when Tom Baker declined to return to the role that had made him a household name, citing the fact that he had only relatively recently left. Producer John Nathan-Turner still wanted the Fourth Doctor to be a part of the special, and so arranged to include two short scenes originally shot for Shada. 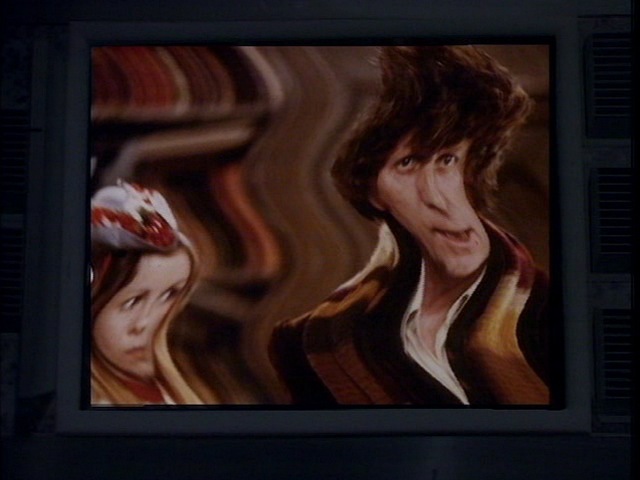 The Fourth Doctor’s absence was explained as being trapped in a time vortex as a result of a botched kidnapping, and his role in the plot was largely taken by the Fifth Doctor. 1983 also saw the screening of an unofficial reconstruction at a fan convention. 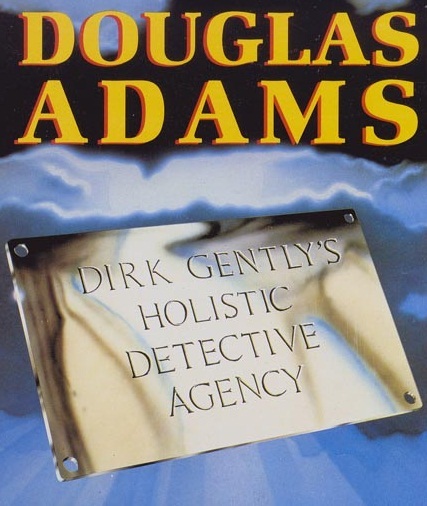 Douglas Adams was never one to let a good idea die, and incorporated a few elements from Shada into his novel, Dirk Gently’s Holistic Detective Agency. The novel, which featured an electric monk, a satire of the fledgling computer industry and a time-travelling visit to a 19th century poet, subsequently spawned a sequel (1988’s The Long Dark Tea-Time of the Soul) as well as a radio adaptation, a comic series and two television adaptations, the latter starring Samuel Barnett and Elijah Wood. The appetite to experience a complete version of Shada led one fan to take extraordinary measures: working in collaboration with fellow fan Jon Preddle, New Zealander Paul Scoones wrote an unofficial novelisation that saw publication in the same year that the classic series came to an end. The novel was one of a series of non-profit books published by the New Zealand Doctor Who Fan Club that adapted television stories that, for one reason or another, had not been tackled by the official publisher, Target Books. A second edition of the fan novelisation was published in 1991, and a third in 2001, each with a different cover. The first official, full-length release of Shada came in the form of a special VHS release uniting all the original footage with new linking material that had Tom Baker summarising the unfilmed scenes. As the original story never entered post-production, a new score was composed by Keff McCulloch in the style common to many late ‘70s Doctor Who episodes. A number of new special effects shots were also created for the release, and K-9 voice actor David Brierly even recorded his outstanding dialogue. The VHS release was also bundled with a book of the original script. The first full dramatisation of Shada came in the year of Doctor Who’s 40th anniversary. Big Finish Productions, the producers of many Doctor Who audio dramas, set out to create an audio adaptation. Their efforts caught the attention of BBCi, who partnered with Big Finish to create limited, Flash-based animations to accompany the audio production. Whilst Tom Baker was initially approached, he declined, and the story was reworked to star Paul McGann as the then-current Eighth Doctor. This had the fortunate side-effect of reconciling the story with The Five Doctors, with the Eighth Doctor catching up with Romana and wanting to attend to their ‘unfinished business’ from years ago. Lalla Ward returned to the role of Romana, but the cast was otherwise completely different to the 1979 version, including Sean Biggerstaff of the Harry Potter films and original K-9 voice actor John Leeson replacing David Brierly. The episodes were released as a webcast – a kind of pre-Netflix, pre-YouTube model of digitally streaming drama – over the course of six weeks and an expanded, audio-only version was released on CD later in the year. Whilst the return of Doctor Who to our screens in 2005 was the start of many good things, it was also the end of the adventures of past Doctors in print, with the BBC’s Past Doctor Adventures line ceasing publication. 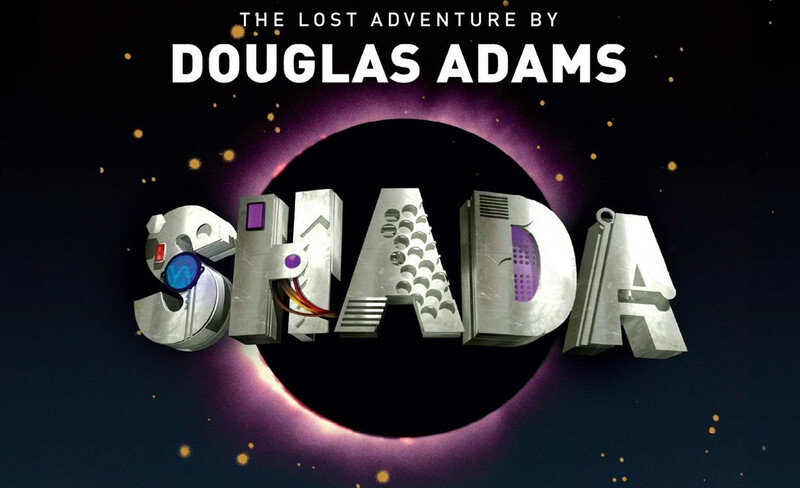 The release of an official novelisation of Shada (along with an audiobook read by Lalla Ward and John Leeson) broke the drought and was followed in subsequent years with original novels featuring past Doctors, as well as numerous short stories. Novelisations are set to make a comeback in 2018, with new books based on the television adventures of the Ninth, Tenth, Eleventh and Twelfth Doctors. 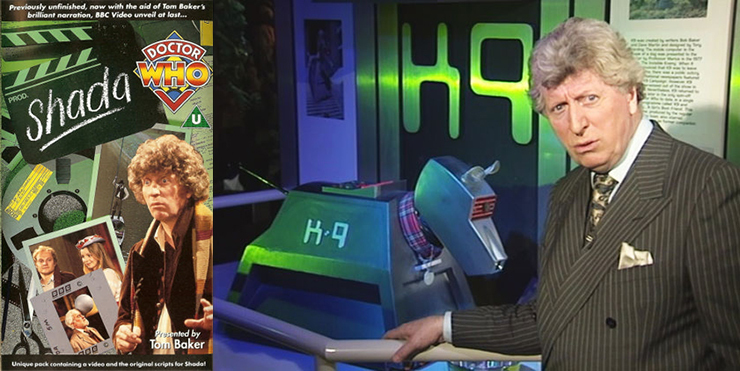 The 50th anniversary year of the programme saw two new iterations of Shada – a remastered edition of the 1992 VHS release (along with a slew of new bonus features and the 1993 documentary More Than Thirty Years in the TARDIS) was bundled in a DVD boxset titled The Legacy Collection, and an unofficial fan version that completed the missing scenes through full-motion animation. Whilst several cast members reprised their original roles, Tom Baker was notably absent – the role of the Fourth Doctor instead being played by a soundalike. Fast-forward to today, where the cinema release of the official animation is imminent. Made by the same people behind last year’s animation of The Power of the Daleks, the latest version of Shada completes the story using full colour animation with newly recorded dialogue featuring members of the original cast including, crucially, Tom Baker. Rather than merely fill in the blanks of the 1992 version, the 2017 version goes back to the source material for a brand new edit and music score. All the original footage has been newly remastered, with location scenes in HD for the first time and studio scenes originally shot in SD upscaled for the big screen. As the first full dramatisation of Shada to star Tom Baker, this version looks to be the most faithful rendition of the story yet. Shada opens in cinemas on 24 November (the day after Doctor Who’s 54th anniversary!) and a release on DVD and Blu-Ray – including brand new extras – will follow early next year. And there you have it! With so many permutations of Shada out there, it is no wonder that it has acquired mythic status among so many Doctor Who fans. In fact, Shada has spawned so many different versions, it is enough to rival that other thing Douglas Adams is known for: The Hitchhiker’s Guide to the Galaxy!